Home Kollywood News Vijay Sethupathi’s next sold! Makkal Selvan Vijay Sethupathi, post the success of his last two movies Chekka Chivantha Vaanam and 96 is all set to be seen next in the emotional, comic entertainer Seethakaathi directed by Naduvula Konjam Pakkatha Kaanom director Balaji Tharaneetharan. This is the director’s third movie and the movie also stars Archana, Gayathrie, Mahendran, Mouli, Bagavathi Perumal, Rajkumar, and many others. Bankrolled by passion studios, this movie was a Vijay Sethupathi’s milestone silver jubilee flick and is scheduled to release on November 15 after being censored a clean U. Now the Tamilnadu theatrical rights of the movie are bagged by trident arts who had last year released his blockbuster Vikram Vedha. 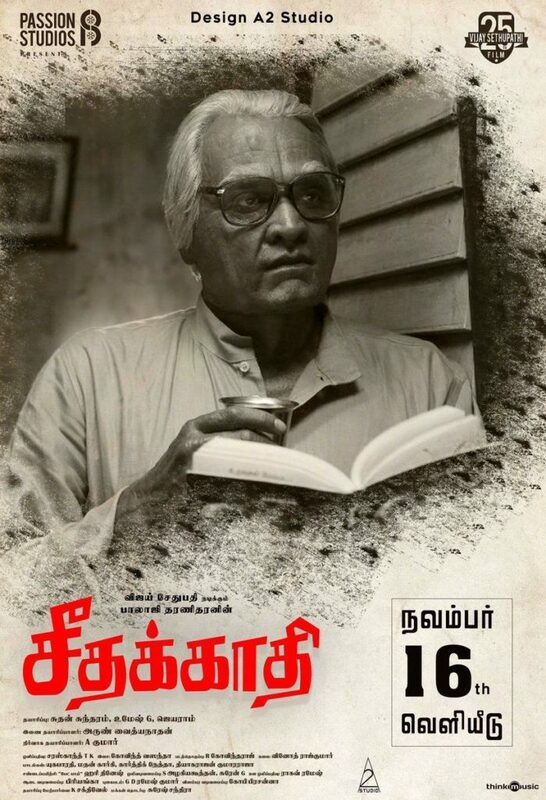 Since Vikram Vedha was a huge hit, they’ve confidently taken the rights of Seethakaathi which revolves around an 80-year-old drama artist. The actor also has a pile of releases under his kitty and is expecting them to get a release soon. Meanwhile, the actor recently supported Director Prem Kumar for ’96’ movie and the plagiarism issues around it. He cleared the air and came in support of the director and said that the story was narrated to him a long back even before he was a star actor. He also said the writers should register their script so that no one else can claim it.